Rated one of the Top Ten multi-day walks in Australia by Australian Geographic, the Cape to Cape Track meanders for 135km across the spectacular coastline of the Margaret River Region in the South West corner of Western Australia. Walkers pass through coastal heath, magical karri forest and woodlands to sweeping cliff top views, spectacular remote beaches, limestone caves and historic lighthouses. The track can be tackled as a 5-8 day walk with camping on the track, rustic or luxury accommodation options along the way or even enjoyed in smaller sections as leisurely short walks with half or full day options. When to go: The Cape to Cape Track is accessible year-round. Spring is best for wildflower and whale watching viewing. Autumn offers cooler days, moderate sea-breezes and spectacular sunsets. Winter can be cool and wet (have appropriate gear) with some diversions around the flowing Margaret River and other winter streams, but often means you have the track to yourself. Summers can be hot and dry (check bushfire risks) with the chance to cool off with an ocean dip - be prepared to carry more drinking water in the summer months which may be in limited supply along the track! - A superb 5 – 9 day challenge of the entire Cape to Cape Track. Fit walkers can do it in 4 to 5 days but most people walk it in 6 or 7. You can choose to camp out along the track, or do day trips and make use of the wide variety of excellent accommodation available nearby. Supported walking options also available! Easy to moderate depending on section selected. Water resources are limited along the track to some campsites, townships and seasonal springs. Please check local conditions or be prepared to carry extra drinking water. The Cape to Cape Track lies almost wholly within the Leeuwin-Naturaliste National Park and is managed by the Department of Parks and Wildlife (DPaW). It is a walker track only, no wheeled vehicles or dogs permitted on the track. A detailed description of the entire track can be found in the Cape to Cape Guidebook by Jane Scott and Ray Forma and topographic Cape to Cape Track Map Packs, published by Dept. Parks and Wildlife, are all available for purchase from the Busselton, Dunsborough, Margaret River Visitor Centres. More detailed information can also be found on the Cape to Cape Track website and park alerts should be checked for the latest track conditions before setting out. Either way is good, though most hikers walk north to south. There are more points of access in the northern half. The southern half has more of a wilderness 'feel' and is more challenging. There is often a strong southerly wind in summer. Although improving, coverage is intermittent. You may need to move to a high point to obtain reception. The Track has 4 basic campsites with small water-tanks, drop-toilet and tables, but no shelters. There are park managed campgrounds on the Track at Contos (water) and Point Road (no water) and private caravan parks at Yallingup, Gracetown (3 km from the Track), Prevelly Park and Hamelin Bay. Drinking water is available at townsites and campsites (boiling advised). Water from streams (mostly dry in summer) is not recommended for drinking as it mostly flows off agricultural land. Some springs may have water but are unreliable in summer. Walkers should always carry water! There are no fees for walking on the Track. The basic campsites are free, but there is a small charge at the park managed campgrounds. Campfires: A 'Fuel Stoves Only' policy applies, and no campfires are allowed anywhere along the Track at any time, except seasonally park managed campgrounds. 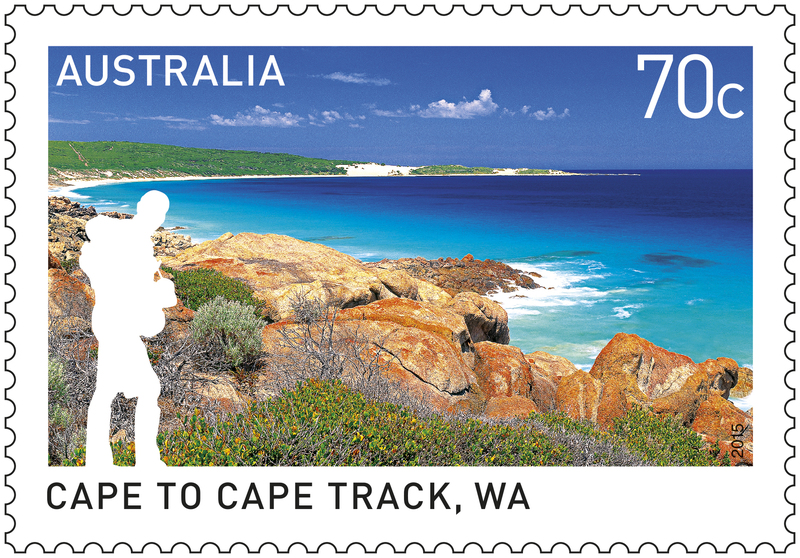 The Cape to Cape Track's northern trailhead is located at Cape Naturaliste Lighthouse, 13km from Dunsborough. The southern trail is located at Cape Leeuwin Lighthouse, 7min from Augusta. Southwest Coachlines and TransWA have coach services from Perth to the nearby towns of Busselton, Dunsborough, Margaret River and Augusta. There is no public transport available to the track entry points but there are several access roads and parking areas along the length of the track for which you can arrange a taxi or drop off/pick up service with a local tour operator (bookings essential)Check the most up to date conditions of the trail before you set out or visit the website for more detailed information.